At present, some 60 forest fires are ravaging Sweden and the risk of further forest fires is “extremely high”, the Swedish Civil Contingencies Agency says (MSB) says. It has even called for help from the EU, Swedish news outlet Fria Tider reports. According to SOS Alarm, there are currently more than 60 fires across the country of different sizes, they told Sweden’s SVT News on Monday evening. 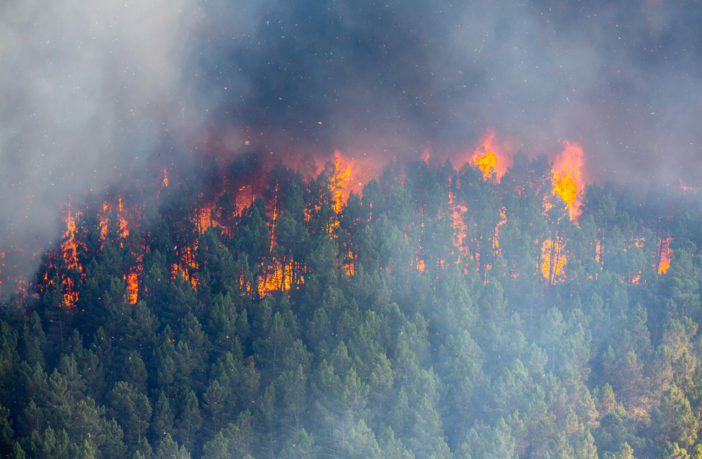 The risk of forest fires is “extremely high in large areas” of the country and therefore the MSB activated the EU’s so-called civil protection mechanism. This means sending a firefighting request to the Emergency Response Coordination Centre (ERCC). “We have chosen to request this support from the EU because we see that national preparedness needs to be strengthened right now. It is very dry in the fields and forecasts in the future indicate that forest fire risk will be at an extreme level throughout the country, even in the near future,” Jakob Wernerman, operational director of MSB’s management, says. MSB has established a dialogue with the ERCC about what resources are available and when they can come to Sweden. According to SVT news, there are fires in different locations in Dalarna, Gävleborg, Jämtland, Västra Götaland, Hälsingland, Kronoberg, Uppsala, Stockholm and Värmland. Rescue forces, the National Guard and helicopters are battling the fires.